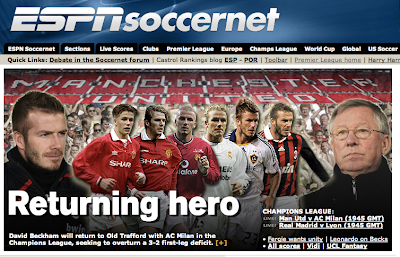 Several weeks ago, I mentioned David Beckham's return to Manchester as an opposing player, but today that return will finally come to fruition as AC Milan visits Manchester United in the second game of their two-leg Champions League round-of-sixteen matchup. The game starts at 2.45 this afternoon on Fox Soccer Channel. Manchester United is ahead in the tie (series), after beating the Rossoneri a couple of weeks ago in Milan by a score of 3-2. Considering the complications of the away-goals rule, this means that AC Milan will have to defeat Man U by a two goal margin (2-0, 3-1, etc.) today to advance. The task will be difficult, as the Red Devils have lost just three games at home this season (dating back to August). Of note, none of those losses were by more than two goals. Further adding to the intrigue of this titanic matchup is the question of whether Beckham will start. While it's certainly assumed he will play at some point, AC Milan coach Leonardo has not yet decided whether Beckham will be placed in the starting eleven. To be fair, Beckham hasn't featured much for Leonardo recently. His last start for the Rossoneri was several weeks and seven games ago, in the defeat against Manchester United. United are dealing with their own issues. First, their worn-down superstar Wayne Rooney - who sat out the team's win at Wolverhampton this past weekend - will apparently be able to start. Rooney, who has 28 goals in 34 matches for his club this season, is a vital piece of the Manchester United machine and the man responsible for two of the goals in their 3-2 victory against Milan last month. More pressing for United, however, is the growing number of supporters who have lashed out against the owners of the club, American Malcolm Glazer and family - owners of the NFL's Tampa Bay Buccaneers. refer to the team's founding colors in the 1850s - when they were known as Newton Heath. In recent weeks, fans have started protesting because of news reports that suggest the Glazers are running the club into the ground. Primarily, they are upset because, despite being the world's most successful club, Manchester United now has over $1.1 billion in debt. 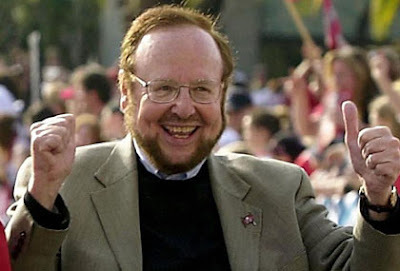 Included in that debt were personal loans of $2.5 million given last year to each of the six Glazer children. 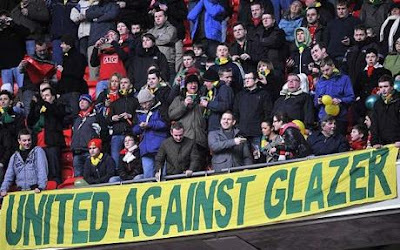 And now, with these protests mounting and hometown fan groups looking to buy the club, the Glazers have turned their backs on their fans by insisting the club is not for sale. And why is it again you can't trust this man? Which means that, as Manchester United coach Alex Ferguson calls for unity among his team's supporters today against Milan, there should still be plenty of green and gold in the stands. And how could we blame them? 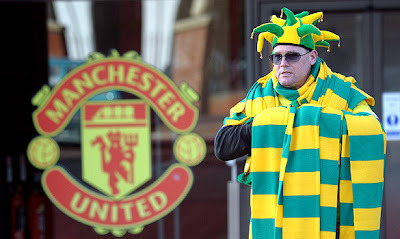 The mountain of debt aside, the Glazers have raised ticket prices by about $350 dollars (to around $1150 per season) since their 2005 takeover, so much so that a study of season ticket holders reported that up to 60 percent will not renew their tickets for the 2010-2011 season. Stoking the ire of their fans even more, financial developments have also impacted the players on the field as well, when last summer Manchester United were forced to sell the team's best player just to break even. There should be plenty of these scarves in Old Trafford today. It's another disheartening ownership situation in England's top division, featuring the world's most recognized club and, another reason their fans may be longing for the days of David Beckham.